The Atlantic Sharon Van Etten’s latest album, “Remind Me Tomorrow,” was released on Jan. 18. 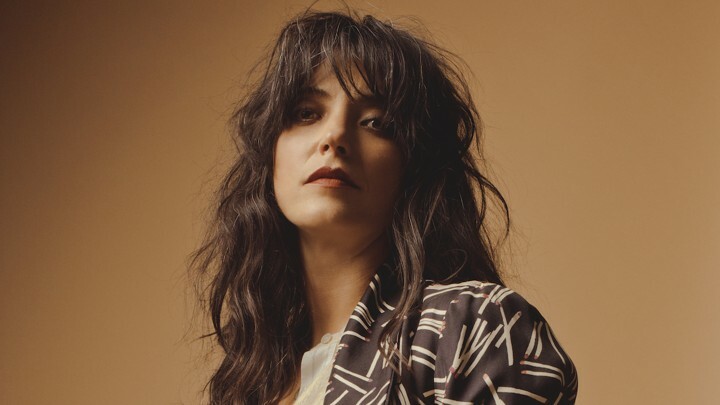 Since her last album release in 2014, singer-songwriter Sharon Van Etten has skyrocketed to indie-rock fame, her success spurring a slew of side projects and television appearances coinciding with the birth of her first child. Her latest album, “Remind Me Tomorrow,” matches musings on change with a revamped aesthetic, shedding her usual understatement in favor of a more fully produced, synth-driven sound. Van Etten has released four studio albums since her debut in 2009, each a cautious step away from the minimalism that defined her early work. “Remind Me Tomorrow” speeds this progression along, exhibiting a sharp stylistic focus and songwriting that supplements emotional resonance with straightforward pop sensibilities. With its measured pace, lyrical drama and slow build, the opening track “I Told You Everything” could pass for an earlier Van Etten track. “No One’s Easy to Love,” however, follows with a dive into the album’s dominating synth sound. Van Etten has cited former tour mate Nick Cave as an influence for this project, evidenced by the lush darkness of tracks like “Memorial Day” and “Jupiter 4.” Van Etten’s pulsing beats also evoke the eeriness of “Twin Peaks: The Return” — as one of the show’s musical guests last year, she played at the smoky fictional bar graced by dream-pop cult favorite Julee Cruise and Italo-disco electronic outfit Chromatics. Even brighter tracks like “Hands” and “Stay” maintain a discordant edge, the former breaking calm verses with an explosive chorus and the latter featuring a trip hop-influenced drum track. “Malibu” doses the Lynchian vibe with a hint of sweetness — interrupted by a spacey synth solo, the atmospheric love song could garner equal approval at a mid-century prom or a Lana Del Rey concert. Van Etten strays furthest from her trademark broodiness with the punchy “Comeback Kid,” embracing a vocal swagger reminiscent of Patti Smith. This newfound arena-rousing energy emerges again on “Seventeen,” which employs an ’80s rock sound in the vein of contemporaries Arcade Fire or The War on Drugs. A New Jersey native, Van Etten approaches the Springsteen-style anthem with a unique passion and authenticity, solidifying it as one of the album’s strongest tracks. “You Shadow” also stands out, juxtaposing a heavily distorted riff against an almost soul-influenced instrumentation of church organ and crisp percussion. Van Etten is known for writing sad songs, and “Remind Me Tomorrow” sets out to subvert and examine this trend, if not necessarily abandon it. The album’s opening line, “I told you everything,” takes on a unique resonance considering the confessional nature of the singer’s previous efforts. She explores the painful complexity of relationships from a new angle here — while most of her catalog focuses on romantic trauma, the emotional center of “Remind Me Tomorrow” is Van Etten’s new relationship with her son and a consequently changing relationship with her past. “Memorial Day,” with its hypnotizing chorus of “you will run,” relays an image of a child growing before his mother’s eyes. Elsewhere, Van Etten expresses a fear of others repeating her mistakes — “You Shadow” and “Seventeen” see her offering wisdom tinged with regret, perhaps to an older version of her son or a younger version of herself. Despite her growing commercial success, Van Etten’s life seems far from blissfully uncomplicated. On “Hands,” she sings, “I’m feeling the changes / I know it’s just like me to say / I wanna make sense of it all.” Still, her trials are tackled with composure; even the romantic retrospection of “Nobody’s Easy to Love” is more matter-of-fact here than despairing. There’s a break in her armor every now and then — on “Seventeen,” for example, her voice cracks as she wails “I know what you’re gonna be!” — but she ultimately conveys an unprecedented optimism and sense of inner peace. Compare her last album’s defeatist final track, “Every Time the Sun Comes Up,” to her latest closing sentiment, “Stay” — the latter substitutes dread with hope as she croons, “you won’t let me go astray / you will let me find my way.” Where the expansive, melancholy songs of her past capture fixed feelings and moments in time, “Remind Me Tomorrow” paints a portrait of a woman moving forward.